See James Bamford's favorite stunts from this season of Arrow before new episodes return Wednesday, January 20 at 8/7c! Any action series worth its salt needs an elite stunt coordinator to make those fight scenes look brutal and most of all authentic. Luckily, for the CW's 'Arrow' they have one of the best in James Bamford. The veteran Canadian stuntman, choreographer, and coordinator is responsible for putting together jaw-dropping stunt schemes on a weekly basis. In this new featurette, Bamford provides the narration of his favorite stunts for season four. 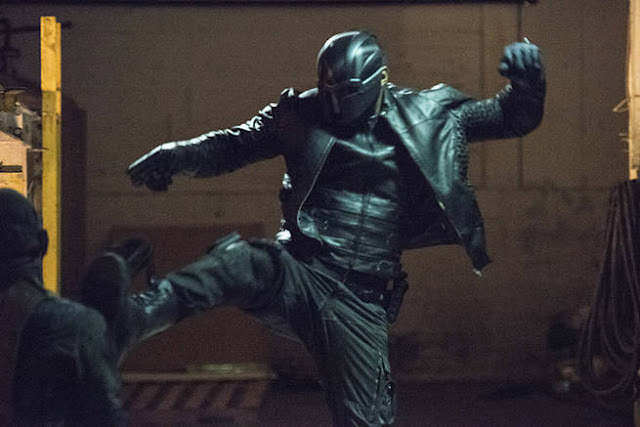 Watch Arrow's stunt team rehearse those dangerous stunts and make them look easy.